Styled with willis short and leonard blazer . A little midriff never hurt anybody. 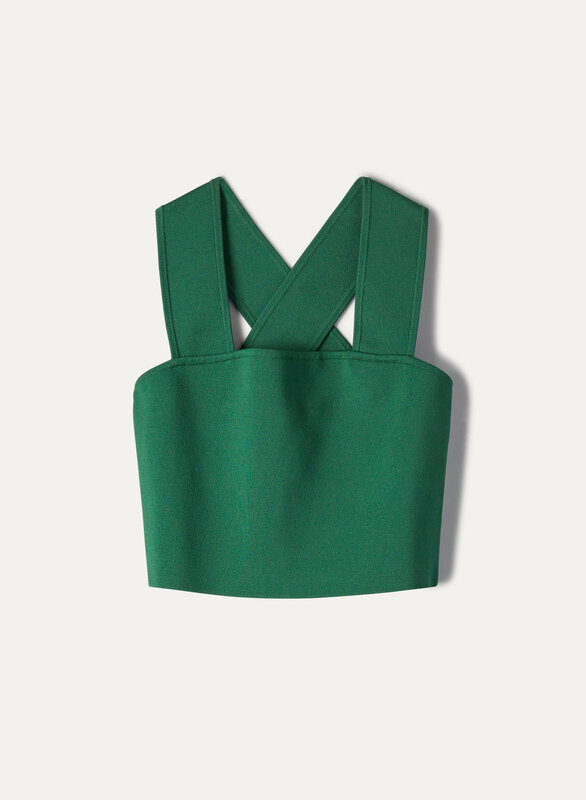 The Torsten is a cropped knit tank top with wide straps that cross at the back. Babaton’s signature sculpt-knit yarn smooths and contours your shape.